I've edited a wide variety of writing projects over the years, from articles, to press releases, to books, newsletters, and most recently, blog posts for a new client. My experience editing blog posts this week made me realize that no matter what the particular genre of writing, while poor writing is so for many reasons, excellent and even rocking' copy shares several key ingredients. Whenever I edit, I find myself marking the manuscript with question marks. A lot. That's because what the writer thought was clear to them isn't clear to everyone else. Many beginning or less experienced writers don't do a good enough job objectifying their experiences, stories, thoughts, and ideas, so that the communication becomes muddled. When reading over what you have written, pretend you just met yourself, and have no prior knowledge of any of the details you are writing about. That's a great trick to determine whether your writing is clear. A frequent problem in writing is that there is no flow or transition from one paragraph to the next, so the text is disjointed. When reviewing your copy, check if there is a logical progression from one idea to the next. If there is too big of a jump, you might need to add a line in the previous paragraph, or add a new paragraph entirely that fills the gap. You might also need to check other areas of your copy that might connect the pararaphs better. They might need to be moved up or down, or switched. One of the basic rules of marketing copy is that you should know the audience you are writing for, and write to them. Some marketers say you should imagine one of your clients, and just write for them. What else are they reading that you are competing with? What kind of language, style, and voice resonates with them? If you are trying to reach them emotionally, what is foremost on their minds? Even if you are not writing a promotional piece, but, say, a magazine article, or a business letter, you need to use language that your audience can understand and relate to. For example, if you are writing for those just learning how to knit, you're going to lose people if you jump into that complicated sweater project without explaining the basic stitches first. Same goes for food, photography, jewelry making, etc. I've often seen bloggers write that we should forgive the occasional typo. Of course, a typo does not ruin a blog post or article, but it does not help writer's image, either. If you are promoting your expertise and authority over a topic, you should know the difference between it's and its. Poor grammar also does not reflect well on the writer either. Common mistakes I mark when editing include using passive instead of active voice; for example: the recipe was created by him, instead of, he created the recipe; improper use of colons and semi-colons; and overuse of dashes. With a recent book editing project I completed, the writer used dashes when one part of her sentence explained the other. I replaced them with commas, which helped keep the sentences flowing. When the second part of the sentence explains the first part, as with this sentence I am writing now, it's called an "apositive," and the use of the comma is correct. Mixed metaphors are another common problem. For example: "she was the cat who caught the canary, but still got her feathers ruffled." Many writers don't realize how often they repeat themselves, even in a short piece of writing. 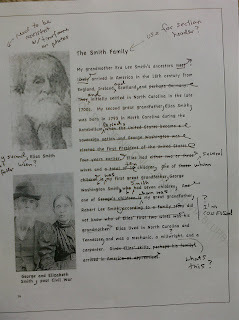 So when I edit, I find it helpful for the client to circle a phrase or detail they have already mentioned in a previous paragraph or chapter, and in this way they can consolidate, either by organizing all the similar concepts in one paragraph, or condensing the copy. There are also more subtle ways that writers, without realizing it, state the same idea repeatedly. "Free" and "at no cost," for example, are the same, and stating: "you can get this reduced book at a discount price now," is an example of redundancy. I often find that when I'm reading what others write, the beginning is usually dispensable, and cut be cut or at least greatly condensed. We all need to "warm up" a bit with our writing, but frequently our real stories start on page 2, or 3, or 5. When reviewing your writing, keep in mind that you don't need a long introduction to get to your launchpoint. Typically, a paragraph or two willl do it. Try finding interesting ways to start your story, such as dramatic anecdotes, questions, or startling facts we might not know. Similarly, think about your endings. In articles, blog posts, and even in e-mails or business writing, you want to finish with a bang and reiterate your most important points. Your ending should be either a call to action, a summary of points, or even a thought-provoking question or statistic. Where does your story really start and finish, and have you chose the best moments? Great writing relies on descriptive details that bring your text to life. A big part of this means being a good observer, and taking note of visual hints. What did we notice on the street that day? Did you see or hear something that reminded you of someone, or something else? What does cooking dinner, or riding a bike, feel or sound like? I once had a writing teacher instruct us to close our eyes, and immediately describe what the person next to us was wearing, or what artwork was on the walls of the room. It was difficult, and some of us couldn't even say. To this day, I always memorize the artwork that's on my hotel room wall, by force of habit! This is a bit different then writing for your audience, as I mentioned earlier. Voice and tone have more to do with the internal consistency of what you are writing in and of itself. One client asked me recently: How do I keep a consistent voice throughout my book? She asked this partly because I had marked on her manuscript places where the tone seemed rather childlike and innocent, versus other spots where the voice was heavy and academic, even historical. I suggested she tried to write as if she were speaking, or writing a letter, or talking to a friend or family member, and that helped free up her voice. With any writing you do, there should be a certain urgency to it. That doesn't mean everything has an expiriation or deadline like a department store sale, but rather the copy demands that the reader pay attention to it. You can create a sense of urgency by using many of the elemets listed here, including active voice, descriptive details, and clarity. They say less is more, and with good reason. I spend a lot of time condensing copy when I edit, and I have seen so many examples where clients take two paragraphs where they could easily just take two sentences. When reviewing your copy, check to see that you have stated what you need to in as concise a way as possible. In one manuscript I edited, the writer went to great lengths to explore the history of a restaurant one of her characters had gone to, when the real point of the story were the events that took place there. I'm sure I missed a few essentials, please post a comment about what techniques have helped your writing the most. Let's have some fun! There is a typo in this post on purpose. Yes, the devilish me planted it! The first commenter who points out the typo gets a prize. 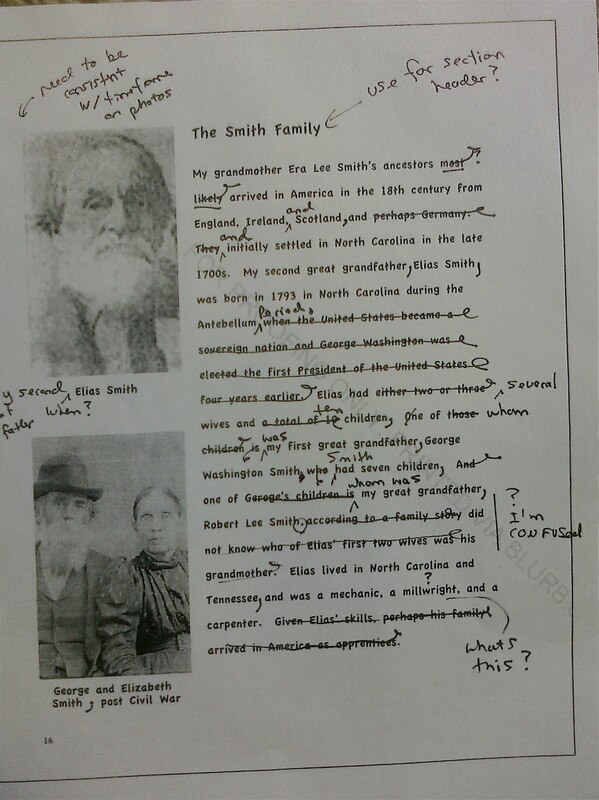 "in this way you can consolidate, ... by organizing all the similar concepts in one paragraph ...[in]... the copy." -> Consolidate ideas presented, aiming for coherence and smooth transition from one idea to the next. "There is a typo in this post on purpose. The first commenter who points out the typo gets a prize." "a paragraph or two willl"
"everything has an expiriation or deadline "
"many of the elemets listed "
Thank you Mr. Arun for your great comment and typo observations, you are very detailed, good for you. The prize was actually meant for August, but since you took the time to comment, send me your best email contact info and I have a free digital download of Problogger's "Copywriting Scorecard for Bloggers," a $20 value. Have a great holiday.